Sparrow is a minimalist mail application for Mac. It was designed to keep things simple and efficient. No fancy stuff here… just your mail and nothing else. I decided to take it for a spin; I’m not a huge fan of Apple Mail (or most desktop clients), but Sparrow seemed different since it’s specifically for GMail. Growl Notifications: A small popup in the top right corner when I get an email. Threads: My favorite feature of GMail is the way it handles email conversations. It’s nice to see Sparrow has integrated this because I feel it’s the only way I can do email after using it for 6+ years. It’s too bad other desktop clients don’t handle email this way. 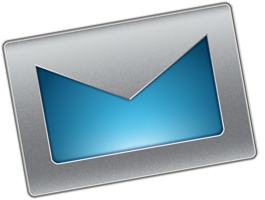 IMAP: Simple syncing to my GMail inbox. The ability to Archive: Not delete. Archive. I don’t delete 99.8% of my email. Thank you, Sparrow. I have sending issues sometimes. They say the latest beta fixed it and that looks to be the case so far; though it usually happen with I click a “mailto:” link on a website. Labels: Kind of a big deal to me. The ability to label emails as well as sync specific ones would beÂ phenomenal. They say it’s coming soon. An option to disable new emails on specific accounts: This is more of a “this would be nice” feature, but I have several accounts that all go to my gmail account. If I can just use certain accounts to send mail from, it would be awesome. GMail has an excellent feature that allows you to reply from the address to which the email was sent. That means if you forward your email from other@email.com, you can reply using other@email.com. If Sparrow can integrate this, I would love it forever (and might even be inclined to pay for it). I know this is probably very hard to do. Sparrow, though very young, is very promising. It’s lasted longer than most desktop clients I’ve used because it’s very close to using GMail, especially with the threaded email feature. I’m excited to see what else they have in store. In the preferences, there’s checkbox for each account in the “notifications” column. You can uncheck it to disable notification on one account.